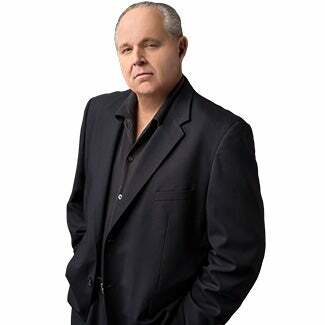 RUSH: One of the sore spots that we’ve all had since the campaign of 2016 began is been the Never Trumpers and people like them who disagree with the premise that the country is in crisis, right? 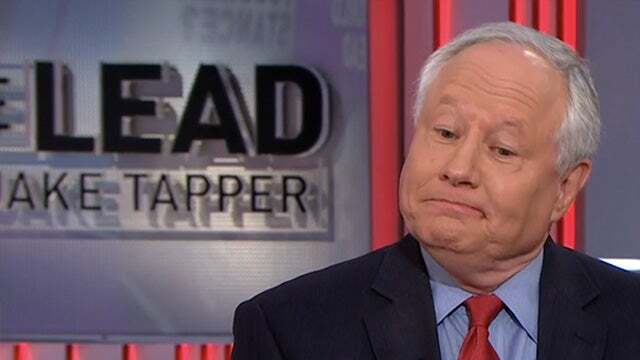 You have a bunch of Never Trumpers, you have conservative intellectuals who don’t think there is anything particularly odd about what’s going on in the country. We’re certainly not in a crisis. They don’t see immigration as a crisis. They don’t see losing the culture as a crisis. They think we’re nuts for looking at things this way! The only thing that’s changed here is that we had a Republican win that they don’t like. But really there’s no big problem. In other words, the Never Trumpers and the conservative intellectuals to this day are sitting in blind faith. They are unable to see the danger posed to this country by the American left, by the Democrat Party. They believe the country is more threatened by Donald Trump and his lack of sophistication than by anything the left is doing. And it’s causing us to be very, very frustrated. Well, there’s a column that’s shown up at The Federalist. Actually, it was published yesterday. “It’s Time For the Right to Realize the Left Is a Much Greater Threat than Trumpism.” I’m glad to see this piece! I’m glad to be joined in this take, that the problem we’re facing is that too many people on our side do not see the real threat or enemy or whatever — in the political context — in the country today, and instead they see Trump! 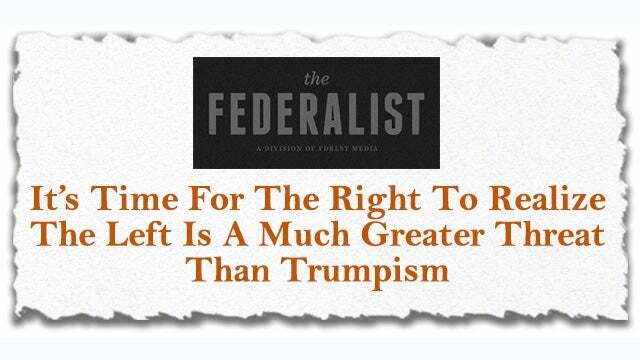 RUSH: It’s a piece at The Federalist by John Ericsson, “It’s Time For the Right to Realize the Left Is a Much Greater Threat Than Trumpism.” Yeah. You and I have been on this page since Trump first announced his candidacy. The Never Trumpers and even some conservative intellectuals who are not Never Trumpers. They’re not particularly anti-Trump. They voted for him or voted against Hillary or whatever. The point is there’s a bunch of people that do not realize the real threat that our country faces — and it’s not Trump, and it’s not Trumpism, and it’s not nationalism or populism. It’s liberalism. It’s the left. What amazes me about these Never Trumpers is these people — particularly the conservative intellectuals — why do they exist? They exist to be in opposition to liberalism! Starting with Mr. Buckley and National Review and God and Man at Yale, the whole point here was to illustrate the follies, the fallacies, and the dangers of the left. Jonah believes, for example, that the power of ideas will win. Our ideas are superior; we just have to be expressing ideas, enunciating our ideas, the power of our ideas will prevail. And of course the ideas do prevail in a vacuum, but in the real-world setting that we’re in now, who knows what the ideas are? They’ve been so distorted, they have been impugned and literally lied about for so many years by the media and the left that nobody knows what the ideas are. They think it’s racism, sexism, bigotry, homophobia. But the highlight of it is that the conservative intellectuals don’t want to fight back. Ergo, Trump. People that voted for Trump realize the threat posed to the country by the left. They don’t think Trump is. Trump’s the solution simply because he’s the one person will be to push back against it, fight back against it, roll it back, and in many ways he has succeeded. There’s an interesting analogy that’s used here. Look at Eliot Ness. How did Eliot Ness first try to stop Capone? Well, a little raid here, and a little raid there on Capone’s massive illegal booze movement and operation and Prohibition. Ness didn’t do a damn thing to stop Capone or any of the other mobsters. It required something much larger and much bigger rather than just these little hit-and-miss raids that express their ideals and maintain their principles. “We’re opposed to booze; booze is illegal. “We’re gonna make sure you can’t traffic in it.” So they hit them there, hit them there, but didn’t stop them. But they were being true to their ideals. They were being true to their principles. But being true to ideas and principles wasn’t stopping anything. It wasn’t resulting in victory. Ness and people that came later had to resort to different strategies. Anyway, I’m just glad to see it, and I wanted to point it out and give a couple of attaboys to The Federalist. RUSH: Charles in Murdock, Kansas. Charles, you’re next. Great to have you on the EIB Network. Hello. CALLER: Thanks for taking my call. I’d like to say, I think that a blue wave is really unlikely. We’re more likely to have a purple wave where we have the RINOs replacing conservative members like we have in Kansas. CALLER: Well, we had Tim Huelskamp, which was one of more conservative members of Congress and he was primaried out in the last election. And then we had Mike Pompeo who is a conservative, and he was replaced and his replacement is voting mainly fairly RINO-ish. RUSH: Okay. So you think that — you think conserve — let me try this again. You think that the blue wave is gonna be purple, made up of RINO types Republicans winning instead of conservative Republicans winning? CALLER: Yeah. I think you can’t hide the Democrats. They’ve just gone so far to the left that even Kanye is against them. But I think the RINOs can work their way in because they basically oppose Trump and they can hide behind their R.
RUSH: Oh! Okay! Since you said — now I get what you’re thinking. Here’s what he’s thinking. He’s thinking the left has lost it so much that reasonable thinking people want nothing to do with ’em. People like that are so reasonable, they also hate Trump. Which creates an opening for RINO Republicans, who aren’t the left and who also hate Trump, to come in and sweep the midterms. That’s his theory. Right? Okay. What do you think of that? The left’s so out there that nobody that’s reasonable, nobody that’s mainstream, nobody that’s not already one of these extremist radicals will sign on to ’em, so they’re a finite group. And over here you have the people that supported Trump. And Trump is not liked, either. And so the great middle is now the Republican-in-name-only group. They are Republicans, but they hate Trump. They hate Trump more than they hate the Democrats, but they still know that their voters hate the Democrats. And he’s using what’s happened in Kansas as evidence for this. Well, you know, as I say, I’m fascinated by the way people think. I might make a note of this to make sure I don’t forget it just to see if there is indeed some kind of purple wave somewhere. People have endless theories to explain what’s gonna happen. I’m still telling you, folks, the issues that are gonna determine the midterm elections, for the most part, haven’t happened yet. I don’t think that people that go to vote in November go to vote on things that happened last week or last month ’cause they’re not gonna remember specifically. They might have generic memories, but there are gonna be specific events that happen much closer to the election that are gonna be the determining factors. You wait. You’ll see. It’s always the case.